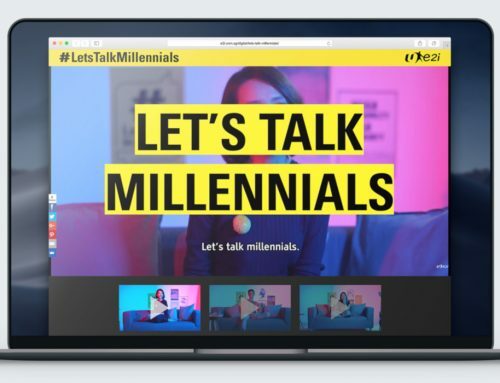 In celebration of the $200 million revamp of Downtown East and its 30th anniversary in 2018, TILT created a set of striking key visuals and translated them into on-site (e.g. 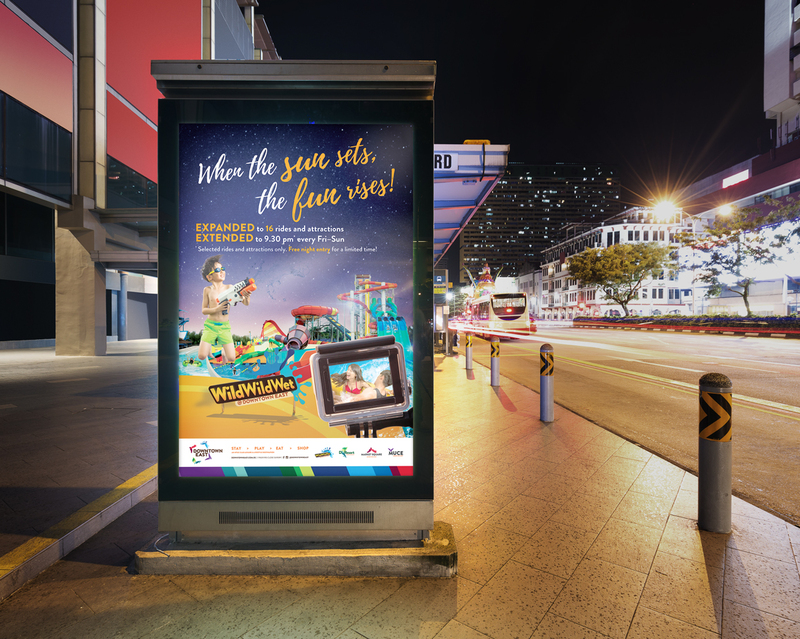 lift stickers, pillar wraps) and out-of-home (e.g. 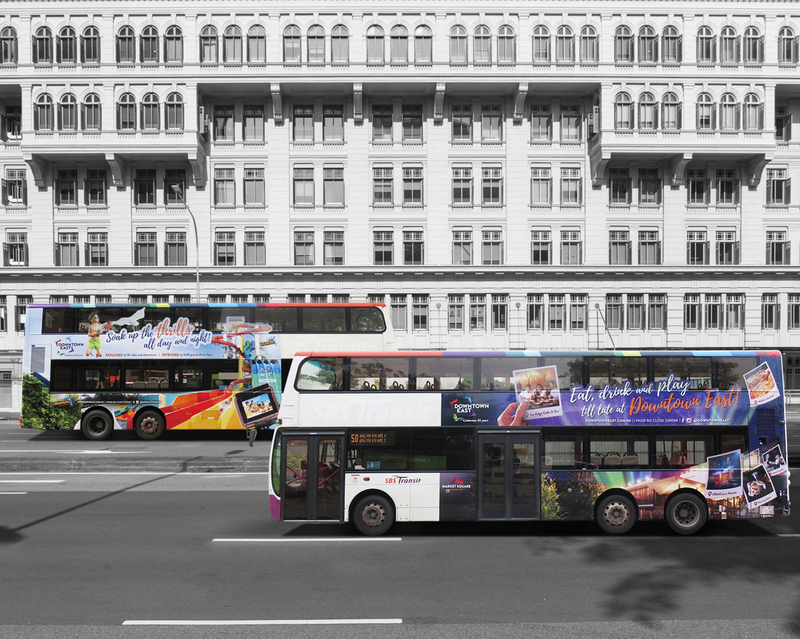 6-sheet posters, bus wraps) adaptations. 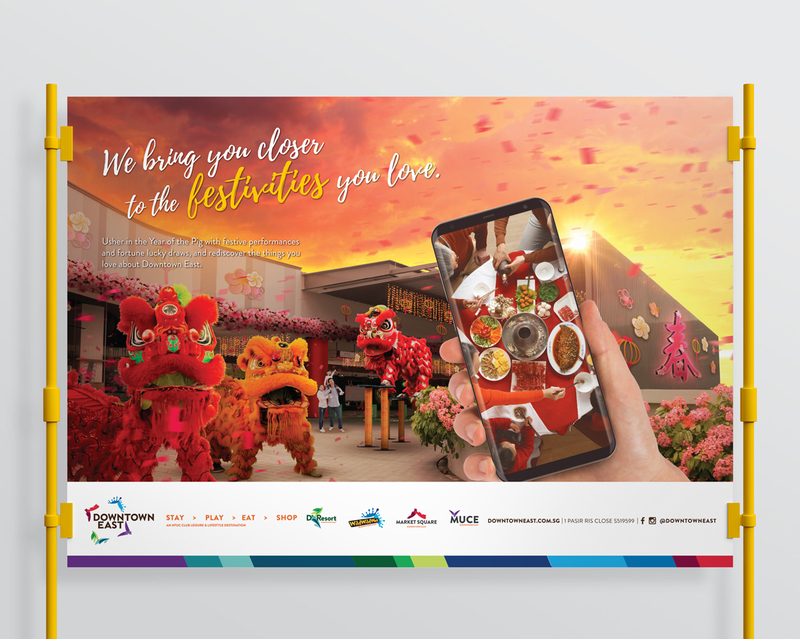 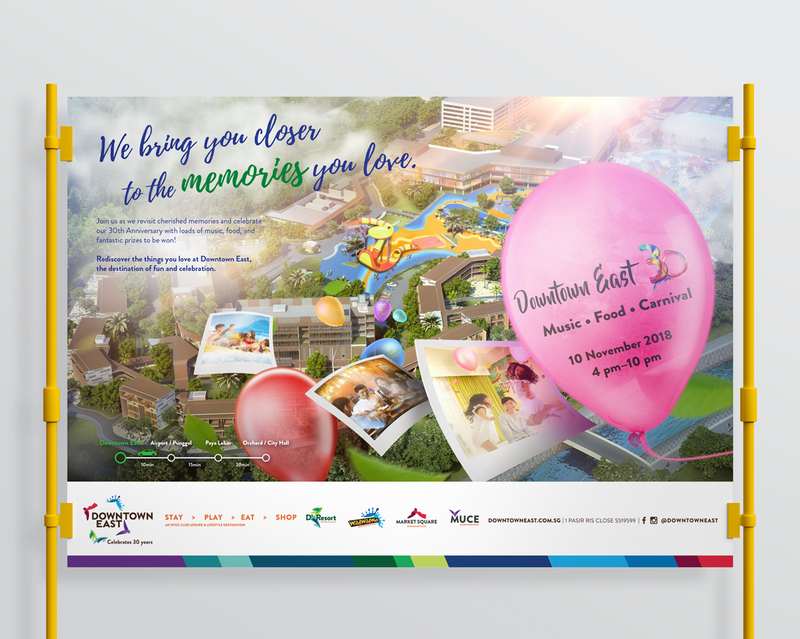 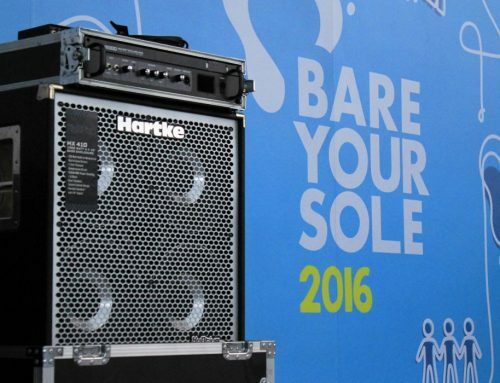 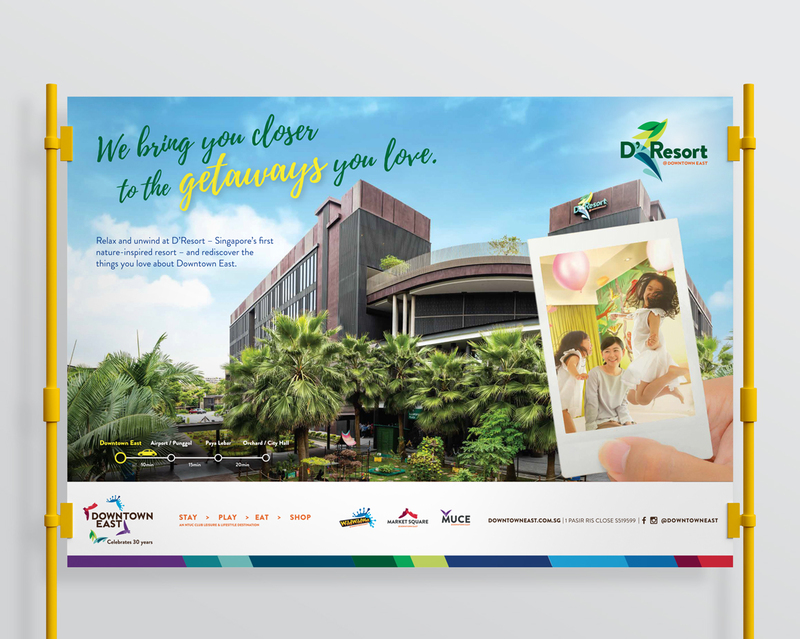 The campaign employed a vivid and lively style of design and photography to portray Downtown East as a vibrant lifestyle destination, showcasing its four offerings – D’Resort, Wild Wild Wet, MUCE, Market Square – as well as promotions for festive occasions such as Christmas and Chinese New Year.